Available for a limited period from Saturday 26th March to Sunday 17th April, ride the Fujikyuko line to enjoy the tremendous view of Mt. 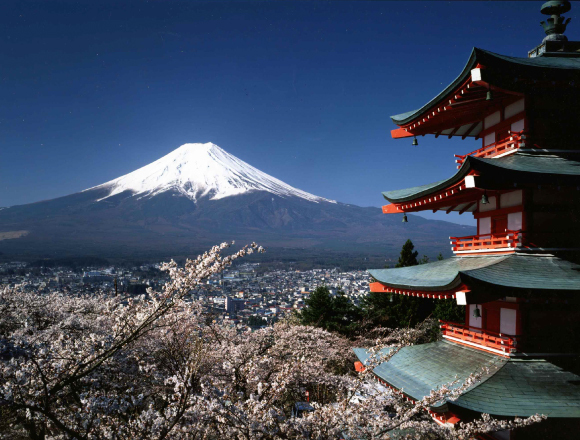 Fuji and Japanese cherry blossom in full bloom. The Fujikyuko line sakura campaign offers a satisfying and breath-taking scenic view, which is enough to satisfy anyone! This campaign will run for 1 month from the start date. The first train will leave from Otsuki station and end its journey at Kawaguchiko Station on a railroad 500m high! At this magnificent height, passengers can enjoy the view of sakura dotted around the track, which will continuously bloom for the entire month, and notice how the scenery changes. Furthermore, the sakura will be illuminated during the evening every day at Tanokura station, Higashi-Katsura station and Kotobuki station. Additionally, available on only Friday 9th and Friday 15th April, passengers can appreciate authentic beer produced around the local area of Mt. Fuji as part of an all-you-can-drink event, which will be made available on the ‘Nonden’ (飲んでん) train. This is a magnificent combination to compliment the relaxing evening sakura view from the window of the train ride! Upon arrival at the stations illuminated with evening sakura, passengers will be given the opportunity to leave the train to take photographs of these beautiful seasonal blossoms glowing in the light along the platform. The train will stop long enough for you to soak in the glow and magnificence of the beautiful cherry blossoms and to fill your camera! Do not overlook this fantastic opportunity to enjoy Mount Fuji and Sakura! 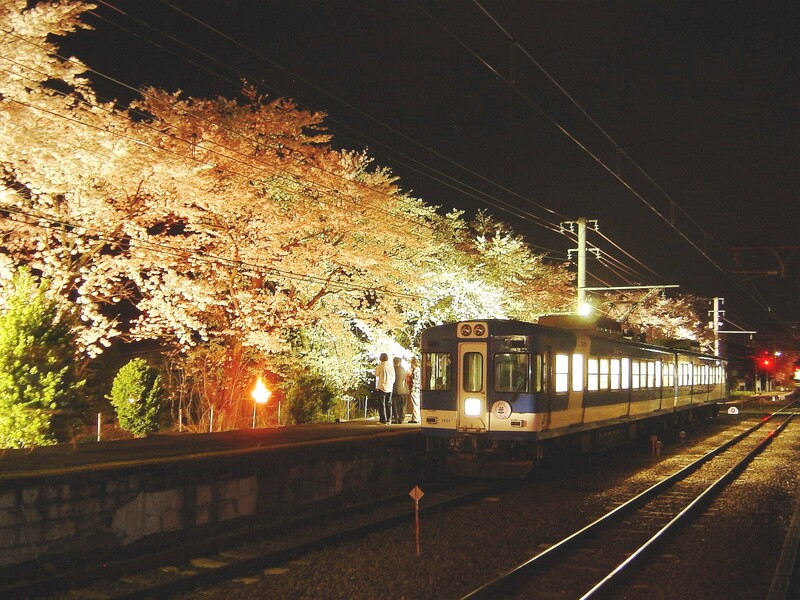 Ride the train, drink local beer and enjoy the sakura illuminated during the evening.